The South West France wine growing region is extremely vast, with approximately 33,000 hectares of vines and around thirty appellations. Unlike other French wine growing regions, it is fairly scattered and offers very different terroirs and wines. Its climate is oceanic, similar to that of Bordeaux, but given its size there are a lot of nuances.The grape varieties the most used for producing red wine in this region include Cabernet Franc and Sauvignon, Merlot, Malbec, Tannat and Négrette. Sauvignon, Gros and Petit Manseng, Sémillon, Colombard, Mauzac and Arrufiac are the main grape varieties used to produce white wine.Red wines from this region have a certain intensity and extremely tannic richness. They usually need to be kept for a few years before being drunk. Refreshing, the rosés release aromas of small red fruits. 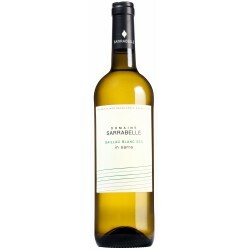 The white wines can be dry (no sugar) or quite the opposite, fruity and lively.